There is great running in this area, both on the water and above it. 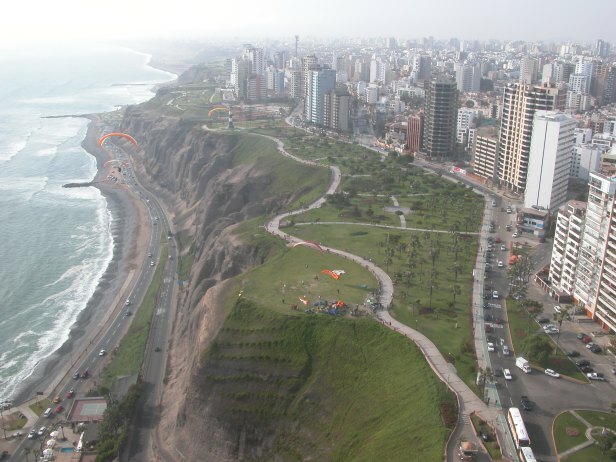 The boardwalk, or Malecón, along the coastline in Lima’s Miraflores Barranco areas, is one of the most popular spots for running in the city. It’s not so much a “boardwalk” as it is a wide concrete sidewalk, but it’s a great place to exercise that includes nice city parks, continuous water views to the west, and towering coastal cliffs to the east. The parks along the cliffs flow into one another (Parque del Armor, Parque Salazar, Parque Raimondi are just a few) for several miles. Most runners stick to the “central” part of the neighborhood between Parque del Amor and Larcomar, but you can continue south on the walkway all the way to the Herradura vista — about 5.5 miles one way. These parks are full of activities such as walking paths, bike paths, skate parks, dog runs, tennis/football/volleyball courts, fitness equipment, restaurants/cafes. To the north, more walkways continue through Costa Verde along Av. Costanera. This long section almost constitutes a separate route. If you tire of the Malecónes, a dirt path parallels the freeway along the cliffs, following more or less the same trajectory. This path also offers opportunities to divert onto the beach, though not all sections of the sand are ideal for running. 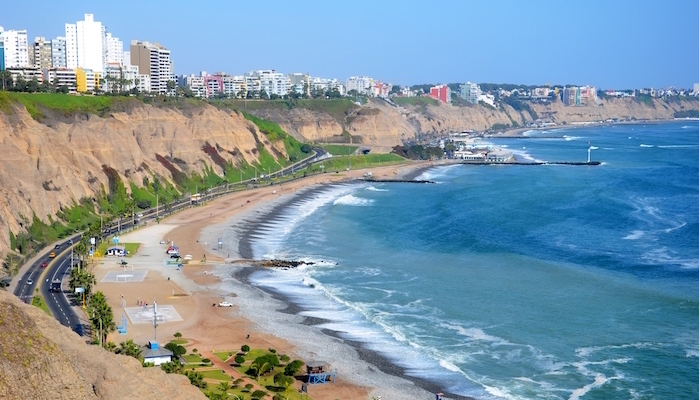 For a nice diversion, enjoy the bohemian streets of the Barranco neighborhood.